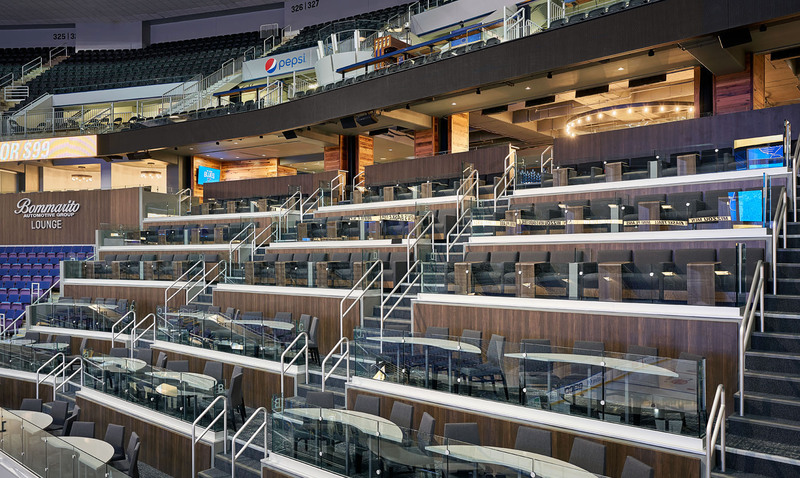 Building off the success of the previous off-season renovations, the St. Louis Blues and Generator Studio teamed up for year number three of changes to Enterprise Center (formerly Scottrade Center) in St. Louis, Missouri. The $42 million 2018 off-season scope of work was targeted at one singular goal: improve the experience for everyone that sets foot in Enterprise Center. 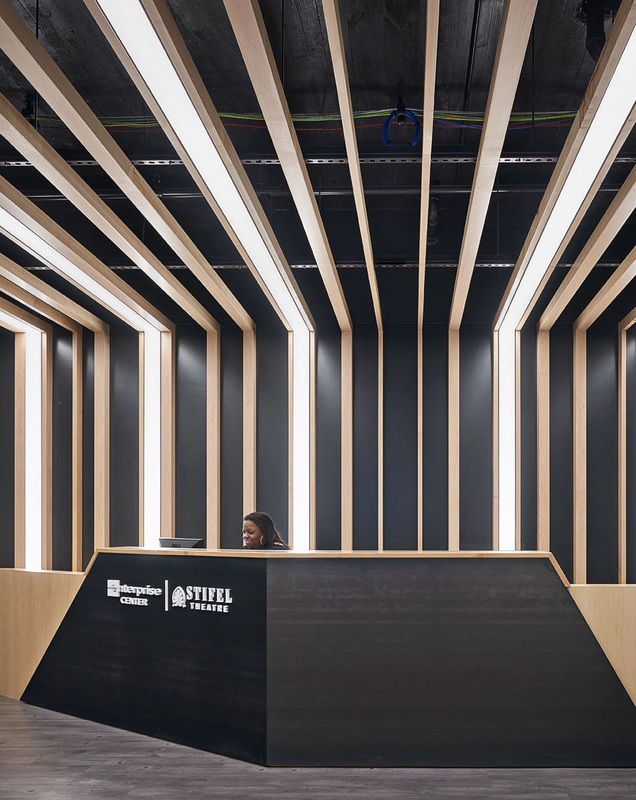 To enable us to best address this goal, Generator was tasked with finding opportunities within the building’s existing dripline to provide new gathering spaces and increase fan comfort across the board. Step one of the Phase 2 renovation scope required carving out space in the arena by relocating the front offices for Enterprise Center, the Stifel Theater (formerly the Peabody Opera House), and the St. Louis Blues. With the goal of consolidating the front offices into a single space to allow for collaboration and enhanced office culture, the team ultimately decided to renovate the existing 55,000 SF basement of the historic Stifel Theater (attached to the arena via an underground link). While underground, the existing basement is flanked on each side by gracious sunken patios with stairs up to street-level, allowing natural daylight to flood the conference and gathering spaces located near the preserved historic lobbies. 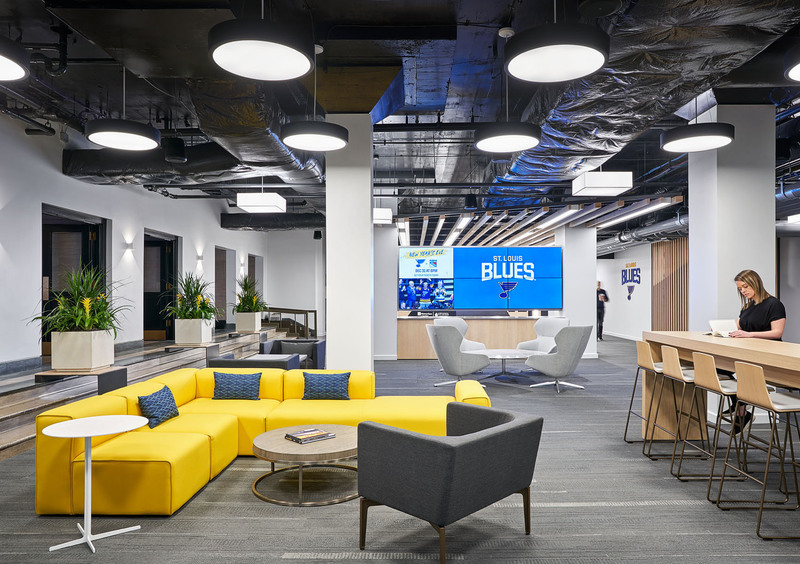 More information about the completed Blues front office renovation is coming soon to our Workplace page. Step two targeted renovations to the arena itself to boost fan experience via goals identified in a working session between the Blues, Generator Studio, and Curiology. The working session analyzed every existing premium product offered at the venue, and looked at the existing retail brand and retail stores. The goal was to diversify through new seating types and experiences targeted at different fan types. 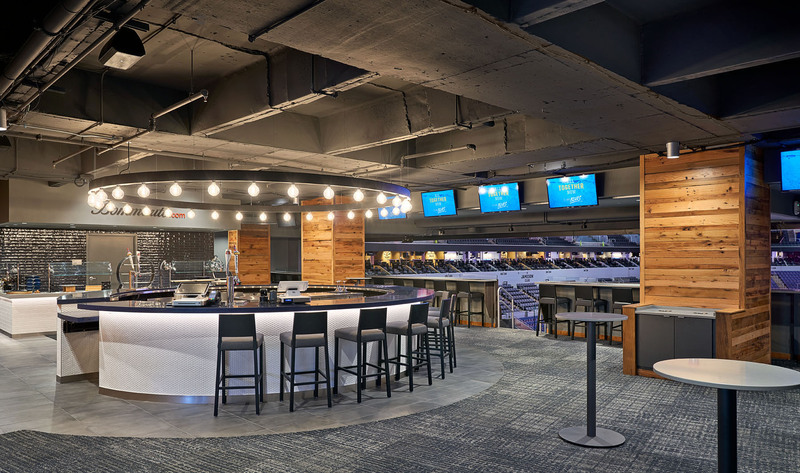 With three new team stores, four new and very different clubs, and numerous upgrades to public concourses, Generator succeeded in establishing a new and better experience for Blues hockey fans. 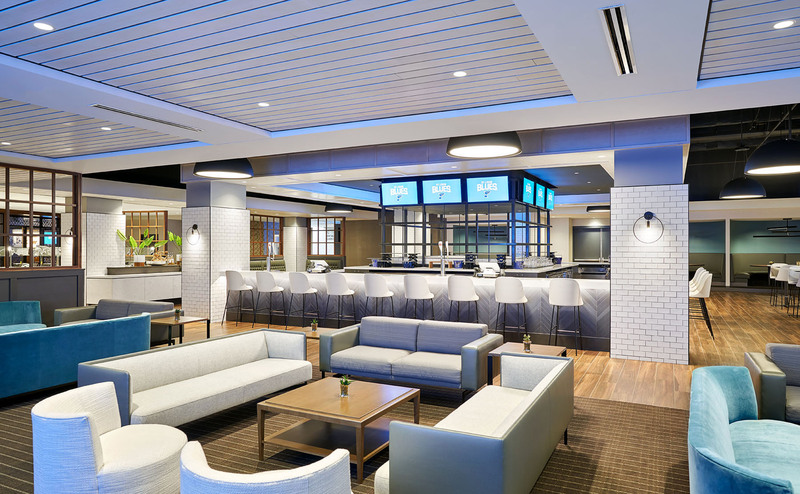 The Scott Credit Union Rinkside Club and Pub ’67, inspired by the early to mid-20 th century cocktail culture, were built out in the former 12,500 SF front office space on Event Level. 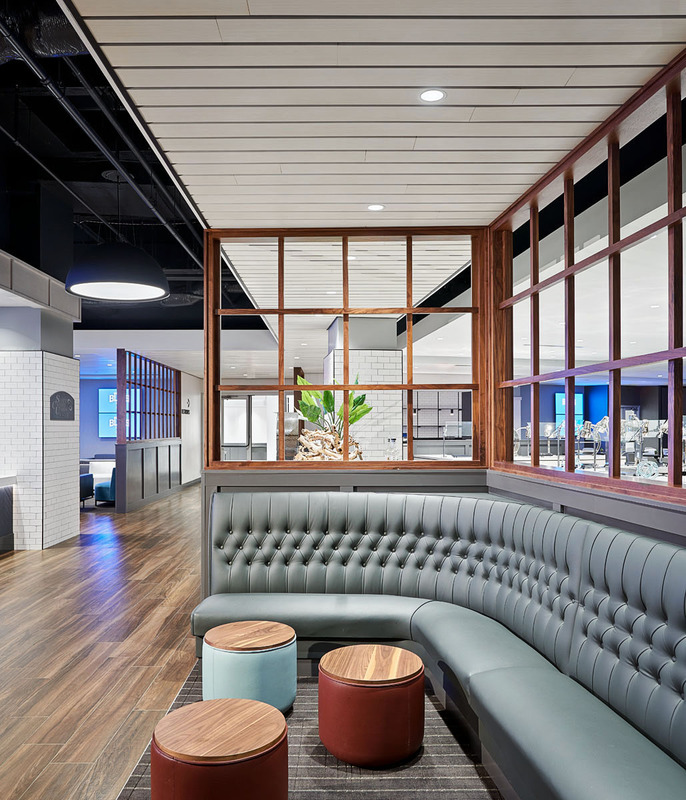 The Bomarrito Automotive Group Lounge, designed to be an energetic, social environment that backs up to the recently renovated Bud Light Sports Pub, added two new types of in-bowl seating to the manifest. To further support the desired array of offerings, Generator recommended infilling the existing 5+ story atrium along Clark Avenue at Club and Mezzanine Levels. 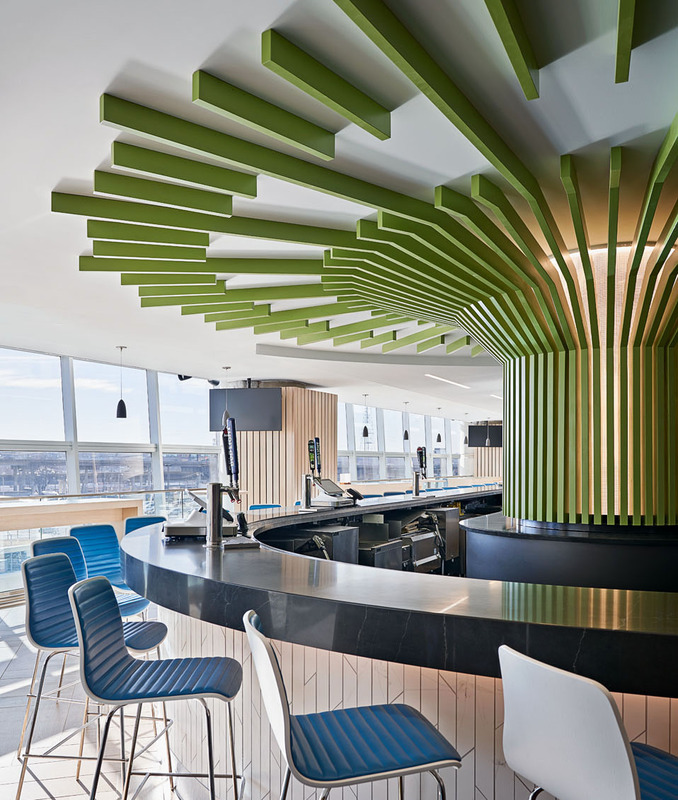 The new +/- 8,000 SF provided per floor by these infills allowed us to build out the Jameson Clark Avenue Club on Club Level. 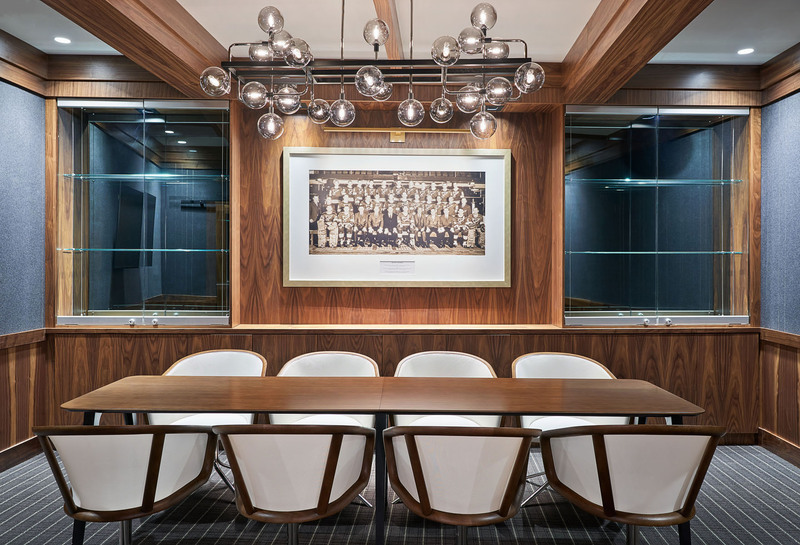 This space was designed to be a high-end sports lounge inspired by the industrial past and present culture of modern day St. Louis. A small, boutique team store targeted at Club Level patrons was added next to the new club and is visible from inside the main entry of the club itself. 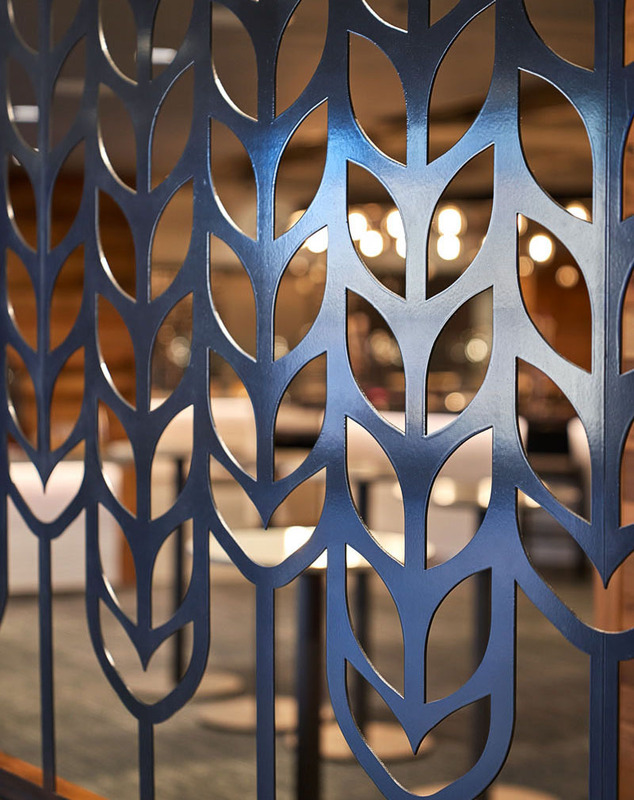 To revamp hospitality across the board, the public concourses were upgraded. Major moves included the addition of the 2,000 SF Anheuser-Busch Biergarten on Plaza Level, the new 8,000 SF gathering area on Mezzanine dubbed The District, two new signature team stores, one on each public level; a new bowl opening that allows fans to congregate and stay connected to the action while out of their seats, venue rebranding, new wayfinding and integration of corporate sponsors in tandem with Infinite Scale, reworked main entry experience along Clark Ave, renovated box office, the introduction of digital advertising & wayfinding boards, and finally- a fresh coat of paint. This significant venue overhaul, totaling 62,000+ hours of construction in just under four months. , enabled us to meet the goals outlined in our Master Plan, with the fans and team at the core of every decision. As Chris Zimmerman, Blues President and CEO said, “There are lots of shiny new buildings out there and it is a reality that without raising our game […] we were going to become irrelevant.” The Generator Studio-led renovations at Enterprise Center will ensure the venue stays competitive and relevant across the league and the country, providing fan experiences inspired by, and unique to, St. Louis.